The speed at which we identify and respond to domestic abuse is critical to limiting the harm caused to victims and their children. Too many people are being left to face abuse alone, for too long. Our SafeLives Insights national briefing paper looks at the length of time people typically experience abuse for, and the barriers to accessing support. The briefing reveals that on average, it takes three years for those experiencing domestic abuse in England and Wales to access support to make them safe and well. In Scotland, victims will experience abuse for a year longer (four years on average). The impact of domestic abuse on victims and their families is severe and long lasting, with four out of ten victims nationally reporting mental health issues and one in ten misusing substances. Both of these figures are also likely to be a significant under-representation of the issues. Domestic abuse also has a devastating impact on children. In England in Wales, two in five children in families where there is domestic abuse have been living with that abuse since they were born. Half of these children will experience difficulty sleeping, and a third believe the abuse was their fault. All have an increased likelihood of engaging in risk-taking behaviours themselves. Victims over sixty will typically experience domestic abuse for 6.5 years before accessing help, two and a half times longer than the average length of abuse. 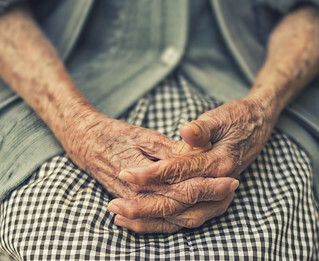 As our Spotlight on older people and domestic abuse highlights, older people are statistically more likely to suffer health problems, reduced mobility or other disabilities which can increase their vulnerability to harm and their dependency. Before accessing support, victims at risk of 'honour' based violence and abuse (HBV) will experience abuse for two years longer than those not at risk of HBV (five years vs three years). As our Spotlight on HBV and domestic abuse highlights, victims at risk of of HBV are also seven times more likely to experience domestic abuse from multiple perpetrators (54% vs 7% not at risk of HBV). More often than not these perpetrators are partners or family members living in the home. Too often we ask "Why doesn't she leave?" But the reality of domestic abuse is much more complicated than this and there are many reasons why someone may remain in an abusive relationship. SafeLives Insights reveals that 30% of victims are in an intimate relationship with the perpetrator of abuse at the point of accessing a service, and a further 8% of perpetrators are family members. One in four victims will be living with the perpetrator. These factors should not be barriers to accessing help, but they currently are - with victims who still live with the perpetrator being likely to experience abuse for six years on average. Some groups of victims remain so hidden to services that it's hard to clearly determine how long they're living with abuse before they're able to access help. This is especially true for those who identify as LGBT+. Our Insights dataset highlights that only 2.5% of victims referred to domestic abuse services identify as LGBT and they experienced abuse for 2.3 years before accessing support. Domestic abuse is complex, each experience is different from any other and there are many factors that contribute to the length of time victims suffer abuse before they get effective support. Three to four years is too long to wait, and work is needed to overcome the barriers to accessing services and intervene earlier. Support for individuals and families experiencing domestic abuse should be early, consistent and tailored. We must ensure people are safe and that their needs can be addressed, and we must hold the perpetrator(s) to account.